How much a pregnancy tests costs depends on what type of pregnancy test and where you get it done. The most common type of pregnancy test is a home pregnancy test. This one uses your urine to test for the pregnancy hormone human chorionic gonadotropin (hCG). You can usually use this type of pregnancy test from a few days before your period is due and you can use it as far into pregnancy as you would need to use it. The body continues to produce hCG the entire pregnancy. This is why it can be done even later in pregnancy with good results. How Much Will a Home Pregnancy Test Cost? These tests are all basically the same. Though the prices will vary in range from a dollar to close to twenty dollars for a single test. You can also buy multiple packs of tests for a few dollars to close to thirty dollars. The more expensive tests don’t necessarily buy you any more accuracy. Though they may have various features that you like. Examples of things you might find here would be digital pregnancy tests that read “Pregnant” or “Not Pregnant” as opposed to a typical two line or plus mark for a positive pregnancy test. Some women really like this feature, while others would prefer to see if the line is faint. These tests are often the same tests that are used in many physicians' and midwives' offices when you have a pregnancy test done there. Many practitioners do not even repeat a pregnancy test if you come into the office with a home pregnancy test that has been positive. Exceptions might be made if you had a test result that was different than what you expected or if you require a blood test. A urine test cost at your practitioner’s office will vary in cost. You should ask before it is done, even if you have insurance. So the cost may be as little as your co-pay or as much as one hundred dollars or more to include the visit. 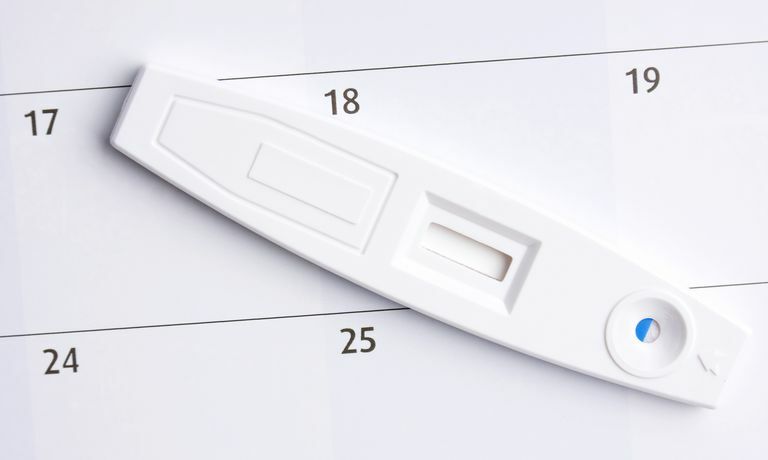 How Much Will a Blood Pregnancy Test Cost? A blood test will cost more. This test also measures hCG, but in your blood. Your practitioner may order this to confirm a pregnancy or to look at a specific number of hCG found. By repeating this test and watching the hCG numbers, she can tell you something about the health of your pregnancy. In a normal pregnancy, the hCG doubles about every 48 hours. The cost of a blood test may also be covered by insurance, but if you are paying out of pocket, you will need to talk to the lab who does the test about their cost. (For reference, Any Lab Test Now charges $49 for a beta hCG (quantitative).) You will pay them separately from your practitioner. This makes this a more expensive test for most people, which is why it is generally reserved for complicated pregnancies. There are also places to get free pregnancy tests or low-cost pregnancy tests. These tests are usually the urine pregnancy test. They may be given by medical personnel or people who are volunteers with no medical knowledge. You can usually also find sliding scale pregnancy tests through your local health department. Truthfully, the best bet for most women is going to be the dollar store tests. These are inexpensive enough that you can buy a couple to keep on hand. (They also sell ovulation prediction kits.) This can be easily done in the privacy of your own home without a lot of added expense. If you get a positive pregnancy test, be sure to call your doctor or midwife right away to schedule prenatal care. Another way to save money on a pregnancy test is to ensure that you are choosing the right time to take a pregnancy test. This not only ensures that you have an accurate test but that you do not have to spend money to repeat the pregnancy test because you tested too early and got an inaccurate result or a negative test because it was too early. If you choose to purchase pregnancy tests in bulk either at discount stores or online, one thing you will want to keep in mind will be expiration dates. If you have a large number of tests, you will want to ensure that you are checking the expiration of the entire batch or each box. You should do this, ideally, when you're making your purchase when possible. Nerenz RD, Butch AW, Woldemariam GA, Yarbrough ML, Grenache DG, Gronowski AM. Clin Biochem. 2015 Nov 2. pii: S0009-9120(15)00507-X. doi: 10.1016/j.clinbiochem.2015.10.020. [Epub ahead of print] Estimating the hCGβcf in urine during pregnancy. Pregnancy Tests. Any Lab Test Now.